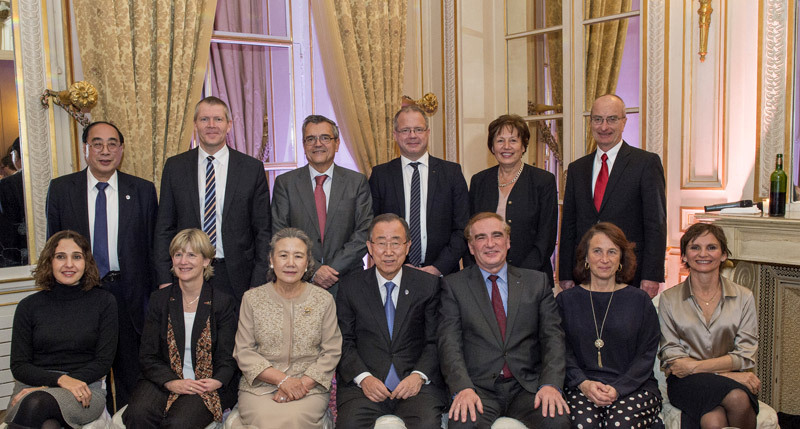 In the context of the UN High Level Advisory Group, a dinner was organised by UIC at the Automobile Club de France in Paris on 7 December. “Principles” and “sherpas” (advisors) constituting this Advisory Group on Sustainable Transport set up in 2014 and planning an Outlook Report by the end of 2016, had the great privilege to meet the UN Secretary General Mr Ban Ki-moon who attended the dinner. The UN Secretary welcomed all the work already done by this Group and encouraged it to achieve its mission.